In case you haven’t noticed, we love feedback. So we asked a whole bunch of hockey parents — our users (parents of hockey players whose coaches use PowerPlayer) and non-users (hockey parents in general) — for their thoughts about feedback, as it pertains to them and to their young athletes. On average, parents whose children receive digital feedback from their coaches via PowerPlayer feel that it’s more valuable to their child than purely verbal feedback. 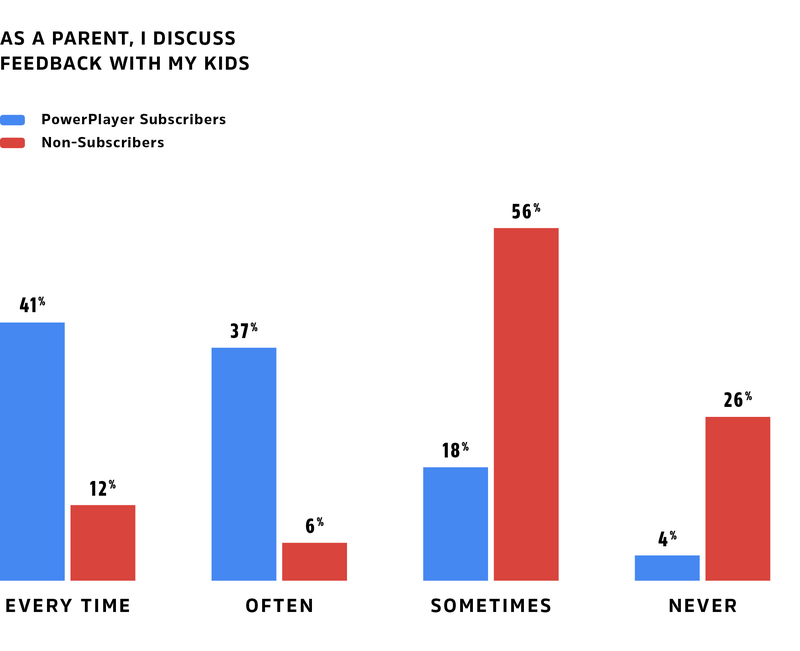 On average, parents whose children receive digital feedback from their coaches via PowerPlayer feel that it’s more valuable to them as parents than purely verbal feedback. Parents whose children receive digital feedback from their coaches via PowerPlayer tend to discuss it with their children much more often than parents whose children receive only verbal feedback. Parents of both groups indicated a strong preference for digital feedback from their children’s coaches. And apparently nobody likes paper/checkbox forms! 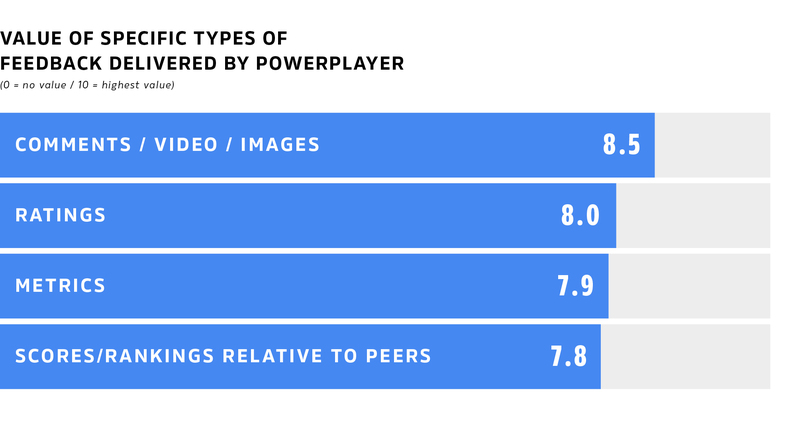 Parents who receive digital feedback from their child’s coaches via PowerPlayer rated the value of the specific types of feedback it delivers closely within a range from 7.8 to 8.5 on a scale of zero to ten. There’s no question that immediate verbal feedback is always going to be required when it comes to teaching or coaching anything. PowerPlayer is designed to help coaches easily and quickly expand their ability to coach effectively by taking away the time pressure of providing detailed feedback to each and every individual player during a practice or game. PowerPlayer provides a way for coaches to distribute meaningful, actionable feedback — players and parents can understand and take action on the information provided — and trackable and trendable feedback — the data creates a record of improvement over time. Because PowerPlayer feedback is visible to both players and their parents, it helps eliminate the age-old after practice or after game parental question — “What did your coach say to you?” — and also lets parents know that coaches are aware of and focused on their child on an individual basis, not just in group teaching contexts. For us, these survey results confirm that the kind of information coaches are providing via PowerPlayer is not only highly valued and preferred by parents, but also that it promotes more frequent discussions between parents and kids. We take all of that as a huge positive. If you’d like to find out how easy it is to provide PowerPlayer feedback, give us a buzz.